Already have a Username/Password for Applied Chemical Engineering? Applied Chemical Engineering is an Open Access Journal under EnPress Publisher. All articles published in Applied Chemical Engineering are accessible electronically from the journal website without commencing any kind of payment. In order to ensure contents are freely available and maintain publishing quality, Article Process Charges (APC) is applicable to all authors who wish to submit their articles to the journal to cover the cost incurred in processing the manuscripts. Such cost will cover the peer-review, copyediting, typesetting, publishing, content depositing and archiving processes. Those charges are applicable only to authors who have their manuscript successfully accepted after peer-review. Two prominent researchers that have frequently written about science’s reproducibility problem have suggested seven key reforms that they say will improve the reliability of scientific publications. Writing in the Journal of Clinical Investigation, Arturo Casadevall of Johns Hopkins School of Medicine in the US and Ferric Fang of the University of Washington say the reliability of the scientific literature is ‘of the utmost importance to society’. ‘However, in recent years, rising numbers of retracted articles, reproducibility problems and inappropriately duplicated images have increased concern that the scientific literature is unreliable,’ the pair write. 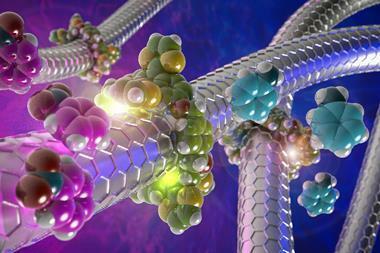 Carbon nanotubes are a green alternative to metallic catalysts. However, tuning their activity relies on difficult and invasive chemical processes that normally damage the nanotubes’ structure. Now, only a few years after reporting the first mechanically interlocked nanotube derivatives, Emilio Pérez and his team at the IMDEA Nanoscience Institute in Madrid, Spain, have envisioned how to use these non-covalent modifications to power up the catalytic activity of carbon nanotubes.